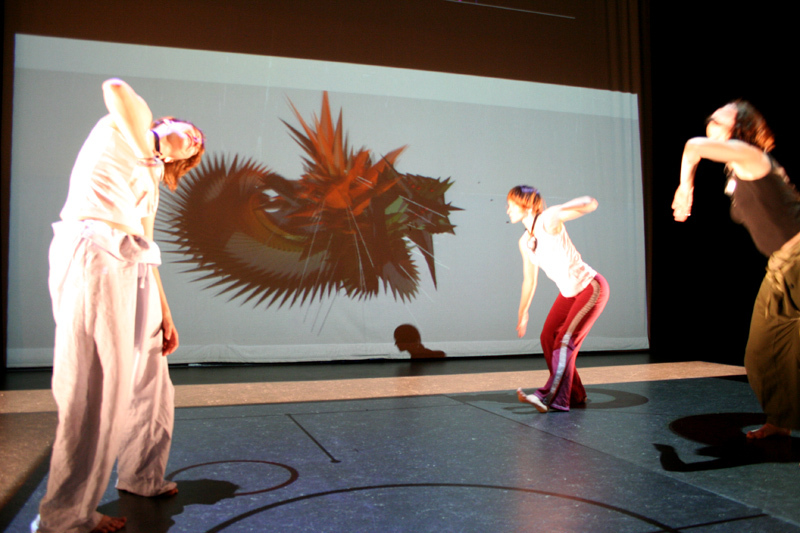 This project saw an evolutionary development from early incarnations as a piece for two dancers with a rather mechanical and robot-like form to a very open and flowing structured piece in the final performance. 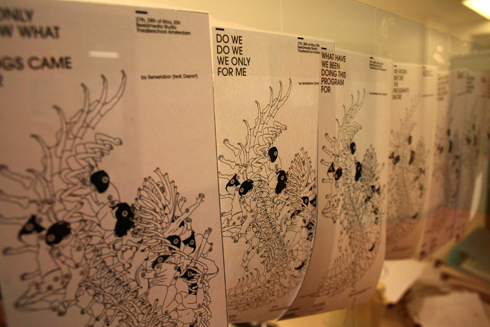 Central to the piece is the idea of a kinetic system that is addressed by a generative process, which is making decisions according to a set of rules defined beforehand by the choreographer. The stage itself is a blank space monitored by a motiontracking system. 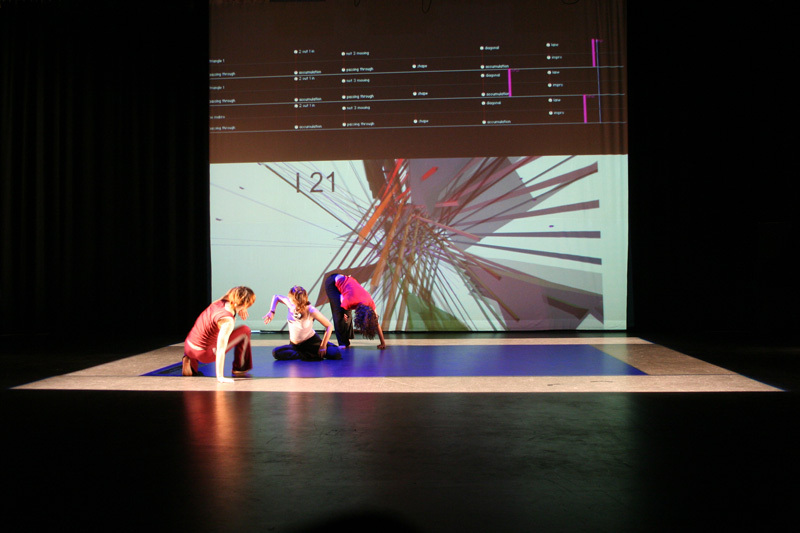 The movement of the dancers is translated into sound and video via the motiontracking system EyeCon and tools like PureData, Reaktor and Max/MSP. The dancers would receive command structures like spatial coordinates and specific motion quality or modes of conduct via wireless headphones. Early stages of the piece were not completely determined but still very arbitrary in their decision-making, the later versions already had elaborate regulatory behaviour based on marcov-chain logical structures. When the system was thus established, there were also attempts to introduce some viral behaviour to the system in order to reestablish a more unpredictable outcome. 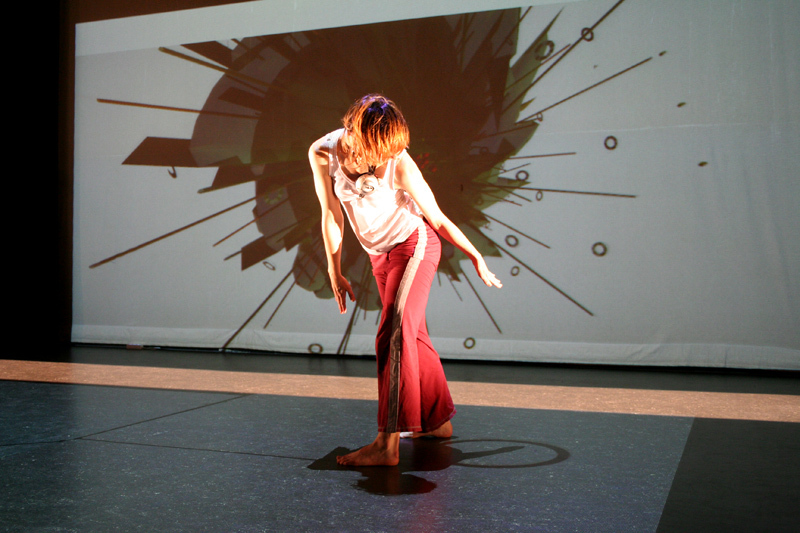 This piece was first commissioned by the TransMedia-Akademie Hellerau and further developed with funding at the Dance Unlimited Master Program of the Theaterschool Amsterdam.